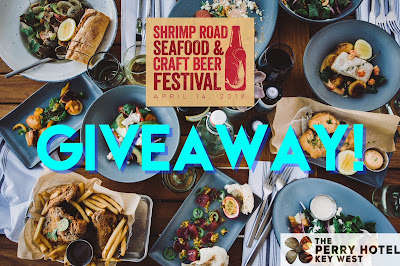 Fatgirl Hedonist: Shrimp Road Seafood & Craft Beer Festival GIVEAWAY! Shrimp Road Seafood & Craft Beer Festival GIVEAWAY! Y'all know how much I love a good giveaway and I'm here to share with you guys a weekend getaway to The Perry Hotel in Key West. I'm giving one lucky person two tickets to the Shrimp Road Seafood & Craft Beer Festival happening on April 14, 2018. So you don't have to worry about driving home after the festival, I am also giving one lucky winner a one night at The Perry Hotel where the festival is being hosted! So what can you expect at the festival? Well for starters there will be beers from Cigar City Brewing, Funky Buddha Brewery, Wynwood Brewing, Dogfish Head and many more. Get the full line-up of beers here. 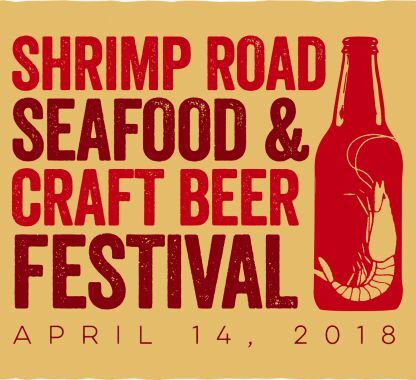 You're going to need some food to help soak up all that beer at the festival and they've got some of the best restaurants in the keys serving up tons of seafood dishes. Restaurants participating include Hogfish Bar & Grill, Matt's Stock Island Kitchen & Bar, Roostica Wood Fire Pizza and many more. Once you find that picture on my Instagram feed, you'll see how to enter. CLICK HERE FOR THE DIRECT LINK TO THE INSTAGRAM POST! The winner will be selected on April 12, 2018 and MUST be 21 years old and over!